Honestly Volkswagen? Why even bother with camo? 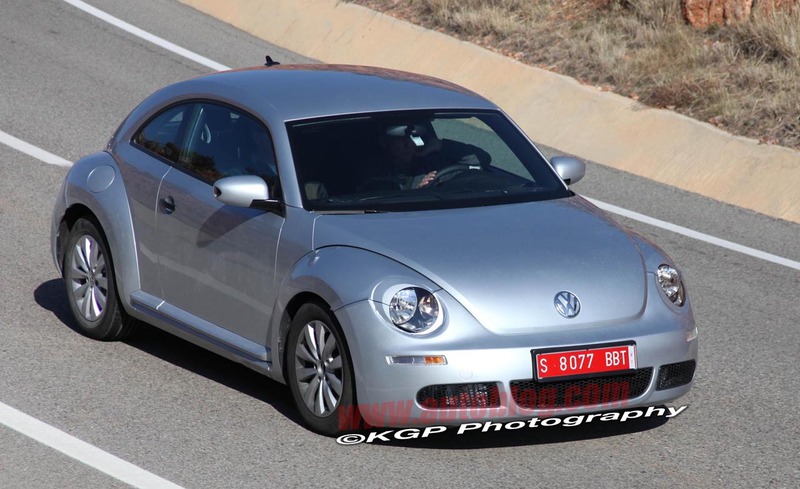 If you're going to parade the 2012 Beetle out in the open - with it's chopped roofline and redesigned rump - is a little bit of paint-matching trim around the headlamps really worth the effort? And while we're at it, the bright silver paint isn't doing your clandestine efforts any favors, either. Unlike the shots our spies snagged late last year, this newest batch shows a near production-ready Beetle, complete with a reworked fascia, more deeply drawn headlamps and some attractive contouring around the greenhouse. The new chiseled sides, thickened C-pillar and higher hatch do their best to modernize an aging design, as will the underpinnings: all the good bits from the Golf VI platform combined with V-Dub's 2.5-liter inline-five in the base models and something turbocharged further up the food chain. Expect more details to surface over the next few months, with a possible debut at the Geneva Motor Show. 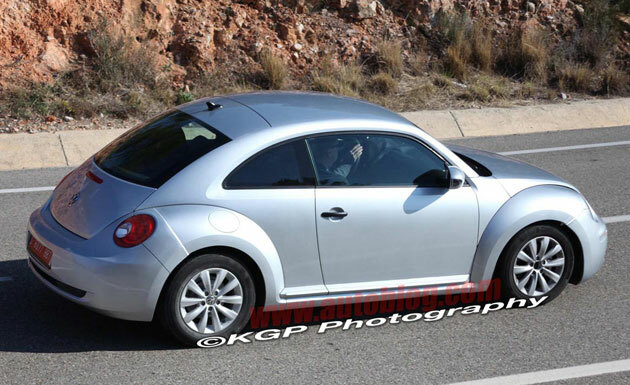 [source: KGP Photography]Spy Shots: 2012 Volkswagen (new new) Beetle caught undisguised originally appeared on Autoblog on Thu, 27 Jan 2011 12:32:00 EST. Please see our terms for use of feeds.